Save yourself now. I'm lactose intolerant and am always on the hunt for high protein products not containing milk so these sounded perfect but due to past experiences with vegan proteins I tried the sample size before fulling committing and I'm so glad I did. They were awful. I tried all three flavours and each was as bad as the last. I tried mixing with water, yogurt and almond milk and it never got any better. They never fully blended into the liquids leaving a weird grainy texture and they tasted like chemical plastic with a hint of artificial whatever that particular flavour was. It was genuinely the most disgusting thing I've ever had in my mouth and I'm no angel. 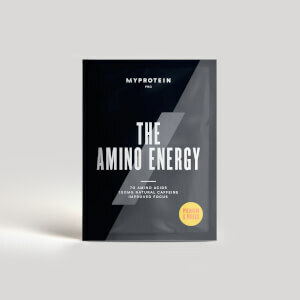 I'm a fan of other MyProtein products but these have just missed the mark. By a lot. They can't even see the mark anymore, it's just a blur on the horizon. I'm always a bit skeptical about vegan products and their taste but I bought this sample on a whim. I was pleasantly surprised. I threw the powder(banana cinnamon) into my nutribullet along with some almond milk, blended and enjoyed! The taste was great and the texture was good. I even contacted the customer service team to see when they would get the full size version back in stock. Definitely want to purchase this when it's available. I'd recommend trying the sample size first to make sure you like it! 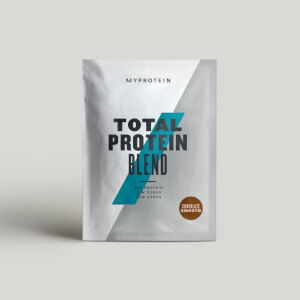 I’ve used nearly all of the impact whey flavours and all of them blended great and tasted amazing but went vegan a few months ago and was looking for a vegan alternative. This definitely isn’t it, much prefer the chocolate brownie. Yeh this wasn't great. I have a massive 5kg bag of whey vanilla I bought a year ago but really want to transition into veganism so am trying to find alternative. Safe to say this is most definitely not it. Where whey is almost too good (so moreish!) safe to say I would not be having seconds of this bad boy. Love the taste! 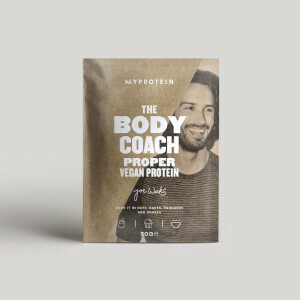 Best vegan protein Iv tasted! So happy. I was pleasantly surprised when opening the sachet the product smelled good. Usually an indication of what you are about to taste. I mixed this with almond milk, unsweetened, ice, and another unflavoured protein ingredient, blended. Having made use of protein supplements for many years, mainly made of concentrate I have recently switched to vegan based products and a product formulated for women ( allelujia) was sounding perfect. I have personally found this excellent. The pina colada flavour is just balanced and refreshing. Much appreciate the women specific ingredients too. This being very low carb and low sugar was an additional go get for me. Looking forwards to trying the other flavours, so far very impressed. Absolutely loved this flavour, made my smoothie taste of summer! Just a shame they only sell a sample size at the moment! I put it in a smoothie with frozen mixed berries, banana, a spoonful of greens powder and a spoonful of maca powder - delicious! As a vegan It's generally hard to find good tasting supplements at a reasonable price .I would highly recommend as very affordable and extremely high quality. I have tried multiple other brands and supplements but I can not rank MyProtein high enough. Honestly the créme de la créme of supplement company's. Great product for novice and experienced lifters. Thank you guys !